At a soiree to mark the start of ERL's recent Founding Member’s Annual Consortium Meeting, the new Seminar Room on the 2nd floor of the Green Building was dedicated to founder M. Nafi Toksöz. 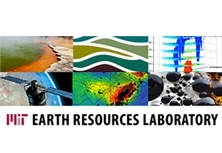 The 2013 Founding Member’s Annual Consortium Meeting started on the evening of May 28th in the newly renovated Headquarters of the Earth Resources Laboratory on the 2nd floor of the Green Building. At this event, ERL Director, Brad Hager, announced several things to celebrate. The M. Nafi Toksöz Scholarship had reached its goal of $1 Million. Lucas Willemsen became the first recipient. It was also the dedication of the M. Nafi Toksöz Seminar Room. The renovation was greatly assisted by a generous donation from Norman and Madeline Gaut. The top of the line AV system was donated by Shell.